Are you in need of one more activity to help fill the week before the holiday break? Here is a super fun free writing activity. 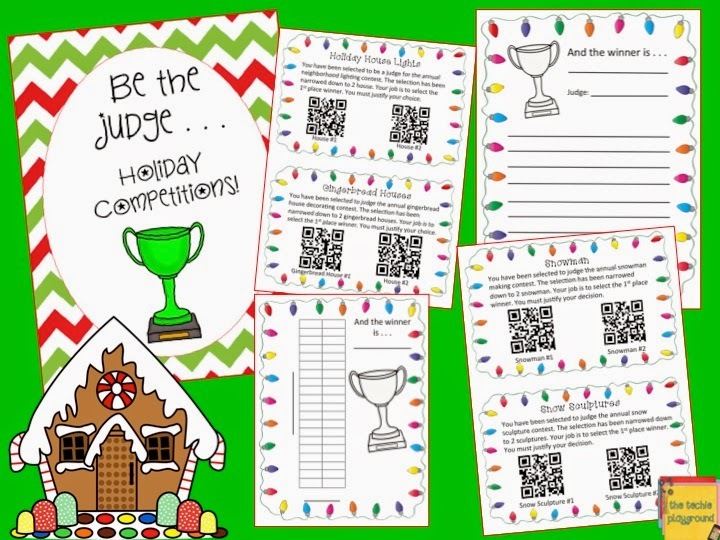 For this writing activity, students take on the role of a judge. They must analyze 2 pictures and pick a winner. The "judge" must justify the decision. 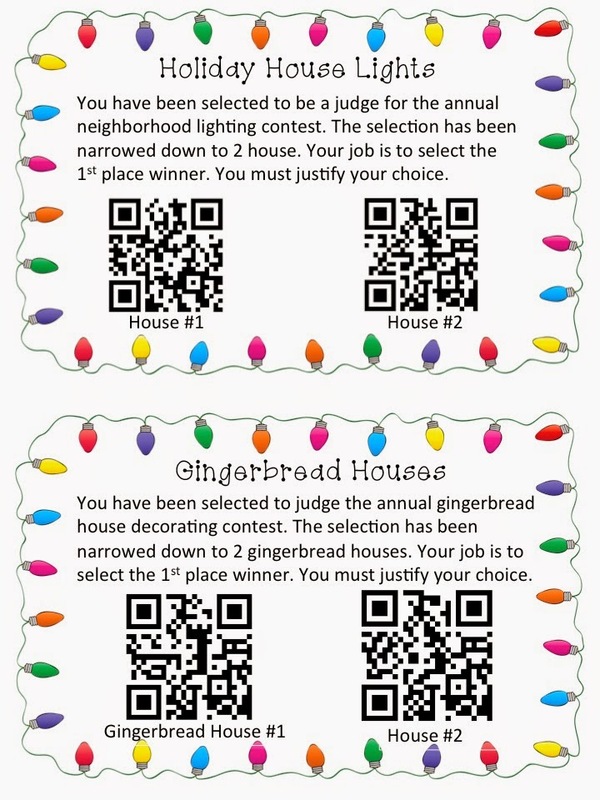 Students scan each QR code to reveal an image of the two competitors . . . houses decorated with tons of Christmas lights, gingerbread houses, snowmen, and snow sculptures. 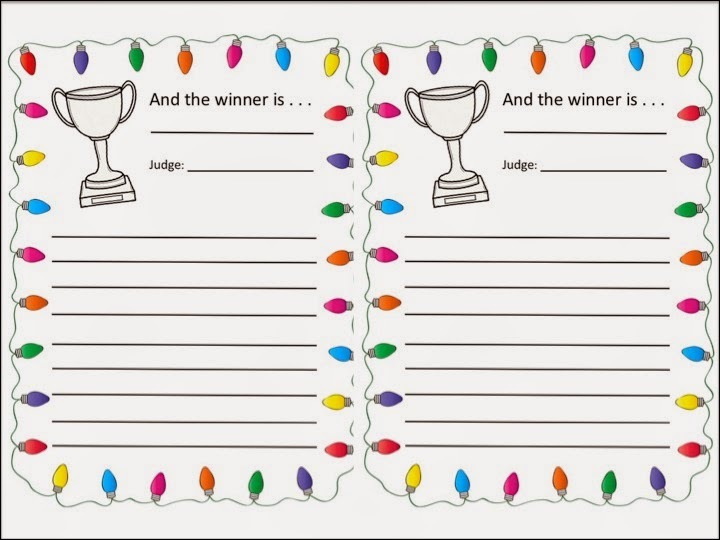 If you want your students to complete 2 out of the 4 judging, print two writing sheets to a page. 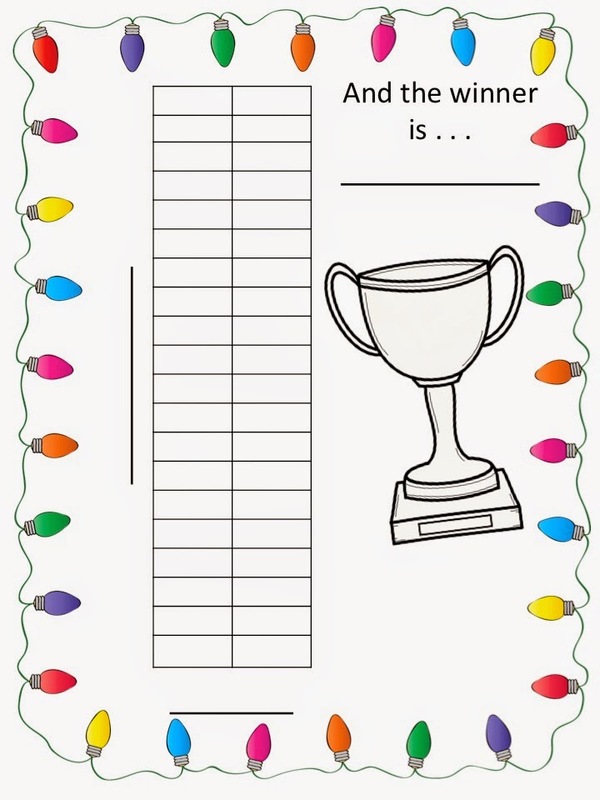 As a class, have students fill in the graph to show the class winner.